We want to make looking like Jesus as accessible as possible. Below are several suggestions of ways to serve together as a family or a group throughout this Holiday Season. Be sure to pay close attention to any dates, contact information, or details listed. We want to help your family fill up your Sparkle Box. We’re partnering with one of our Discovery students to collect toys for families who will not otherwise be able to afford gifts this season. Simply donate new or gently used toys or books on December 9th in the lobby. You can also volunteer at the event on December 15th at the David L. Lawrence Convention Center from 8am -3pm. They provide a number of services, especially home repairs for those that can’t afford it. Every year, they prepare gifts for all of their clients and give their supporters, like us, the opportunity to deliver them. Pick up is on December 8th from 8:00 am - 11:00 am at the address below. You’ll then schedule a time to drop the gift off and spend a few minutes with the person you’re serving. Serving families and kids in the North Side through a variety of programs and experiences. Learn more. Light the Night Set-up and Tear-down: Light the Night is our annual Christmas show put on by our Performing Arts Academy students. Over 250 students help script the show, build the set, design costumes, and of course, perform! This show is seen by over 2,000 people each December. Volunteers are needed to help the Performing Arts department set-up the set before the show load in all the costumes, monitor students during the show and between performances, be on the prayer team, and tear down the set after the show. The show is December 7th & 8th. Volunteering times could vary. Please contact Kate Clark for more information (kate.clark@uifpgh.org; 412.321.3811 x260). 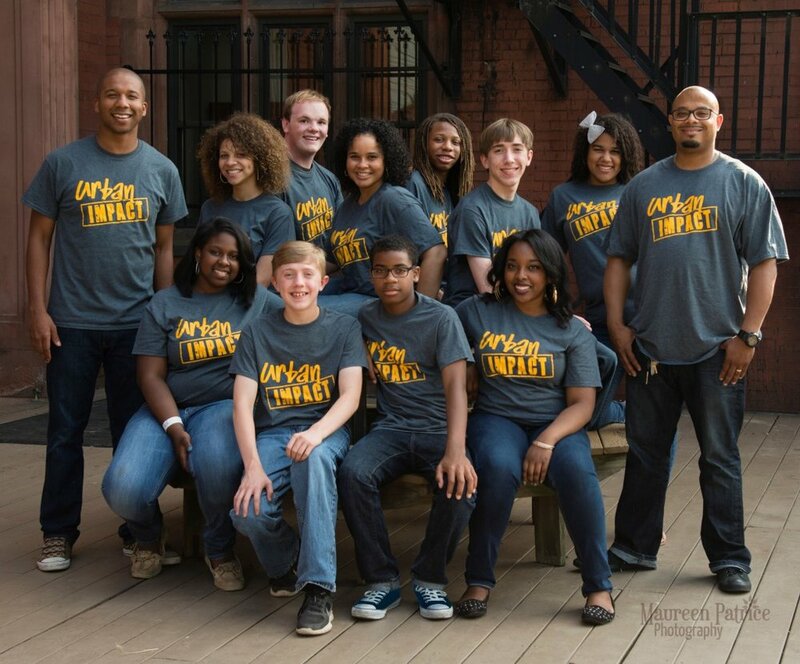 Options Care Packages: Urban Impact’s Options department works with high school students to prepare them for life after high school. We help our students transition from high school to college, a trade school, the military, ministry, or a job. Options is looking for volunteers who would be interested in helping to create care packages and write notes that we could send to our college students throughout the school year. Contact Sara Kimler for more information (sara.kimler@uifpgh.org; 412.321.3811 x218). Housing Projects: Urban Impact recently purchased and is renovating two homes on the North Side. The goal for these homes is to rent them at affordable prices to our Urban Missionaries and staff with the end-goal of creating a safe environment for our students to come to for Bible studies or to hang out. We need volunteers to help clean, paint, landscape, and much more at these homes. If interested, contact Liz Egbert (liz.egbert@uifpgh.org; 412.321.3811 x233). Stagecraft Program Move Day: The stagecraft program in the Performing Arts department is moving its program location and needs volunteers to help move and organize materials. Ideal days are December 17, 18, or 19 in the evening. Other options are the evenings of December 10 & 11. Contact Adam Kennard for more information (adam.kennard@uifpgh.org; 254.718.7948). There are several phenomenal organizations in our city. Some are listed below. However, sometimes the best most effective ways to serve starts as your family or a couple families gather around a table or a living room do something purposeful. Be sure to keep the conversation intentional. Consider reading through the story of the Good Samaritan (Luke 10:30-37) before and after your activity. Ask some questions about their experience serving. Help with one of the opportunities above. Build emergency kits to give out when you run across someone that might need it. Don’t forget to pray with them too. Here are some ideas of what it could look like. Bake & personally give cookies to neighbors/school teachers/bus driver etc. Visit a long term care home and deliver baked goods, cards, or small dollar store gifts. Spend time with the residents offering to paint finger nails, make crafts, play a board game, or talk about Christmas memories. Visit & ER (or NICU) and offer to pray with people waiting. Make sure to call ahead, especially in the case of going to a children’s hospital. Take donuts & coffee to a fire station. Help a neighbor or elderly neighbor with shoveling, cleaning, or yard work. Donate buckets of cleaning supplies from the dollar store to Light of Life Rescue Mission on the Northside to help mom’s moving into an apartment. Write 10 encouraging notes to people like friends, neighbors, coworkers, or someone that inspires you. Write 10 thank you notes for service people such as a school janitor, garbage collector, mail deliverer, church volunteer, waiter or waitress, RLA facilities staff, etc. Prayer walk through your neighborhood. Have dinner or lunch with someone with a different background than you, such as socioeconomic, race, religion, nationality, etc. Set up a giving jar for your kids. If you need some ideas check out this website. Whenever they get a little money or allowance, remind them that it’s a place they can donate. Do something meaningful with it (like below. Here are some ideas of what it could look like. Put a gift card one someone’s windshield. Register for the Angel Tree program (www.prisonfellowship.org) which helps connect parents in prison with their children through the delivery of Christmas gifts. Sponsor a Compassion Child. www.compassion.com (monthly commitment).